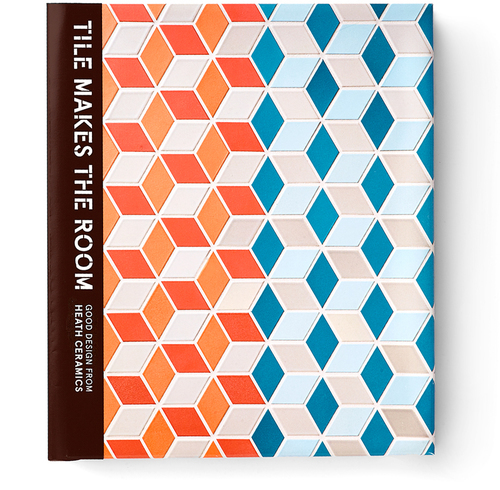 Tile Makes The Room is the new book by Heath Ceramics’ owners, Catherine Bailey and Robin Petravic. Featuring more than 50 projects from around the world, the book reveals how tile’s appeal is unlimited. Through contributing designers and architects, Tile Makes the Room “is about exceptional spaces and places—the kind you want to step into and examine every detail of—where tile is the main ingredient, though not the entire meal,” note the authors. Explore the dwellings of notable designers and everyday homeowners; take a look at the making of tile; gain surprising perspectives on color, pattern and texture; and take note of public installations around the world to visit and enjoy. 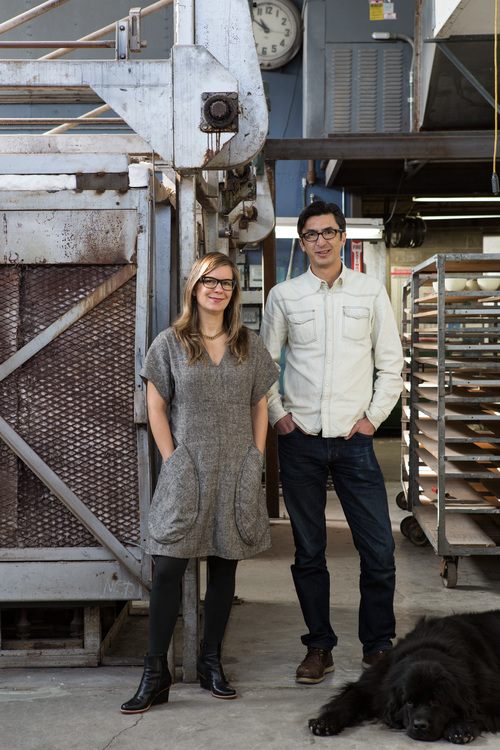 Robin Petravic and Catherine Bailey are co-owners of Heath Ceramics. Image courtesy of Heath Ceramics. Moreover, tile’s versatility is also exposed within the book’s pages. “Whether it’s a daring kitchen in a New York architect’s abode; the stunning ceiling of an entry foyer in Vancouver, British Columbia; hotels in Sorrento, Italy and Tokyo, Japan; gardens and patios in Los Angeles; or stunning restaurants from Los Angeles to Mexico City to Copenhagen, the book provides a world of inspiration,” add the authors. Orders can be placed through Amazon, Barnes and Noble, or receive a signed edition through Heath Ceramics.